After the announcement of the launch of more Samsung Galaxy A-series devices in the coming month, the company has launched another Galaxy A-series device. Samsung Galaxy A20 is now officially launched by the South Korean technology giant in Russia. Samsung Galaxy A20 will be part of the Galaxy A-series and will fall between the already launched Galaxy A10 and Galaxy A30. 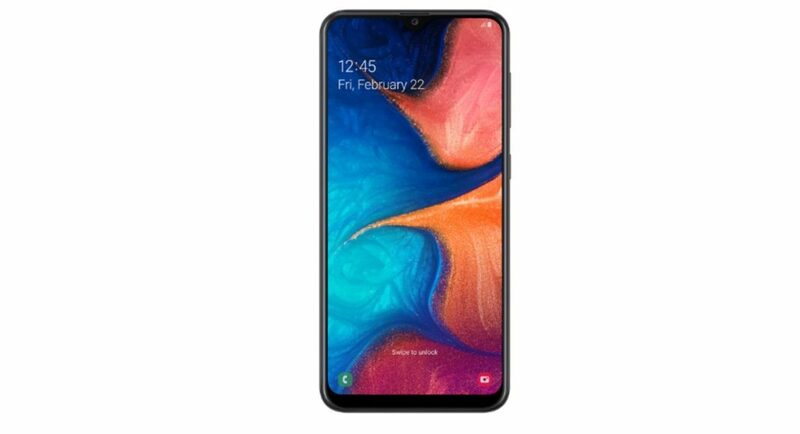 Just like the other launched Galaxy A-series smartphones, Samsung Galaxy A20 too offers good features, a big Super AMOLED display, dual-rear cameras at an affordable price. In Russia, Samsung Galaxy A20 is priced at RUB 13,990 (approximately Rs 14,900) and it comes in two colour variants – Black and Blue. It should be noted that the smartphone has been only launched in Russia right now but the company might launch the Samsung Galaxy A20 in other markets including India in the coming weeks. Also, the prices of the device might vary in other markets. Samsung Galaxy A20 sports a 6.4-inch HD+ (720 x 1560 pixels) resolution Super AMOLED Infinity-U display and is powered by a 1.8GHz octa-core Samsung’s Exynos 7884 SoC. Samsung Galaxy A20 handset comes with 3GB of RAM and 32GB storage and has support of a microSD card up to 512GB. The newly launched device runs Android 9.0 Pie skinned with One UI and it packs a 4,000mAh battery. Similar to other Galaxy A-series devices, Samsung Galaxy A20 too comes with a poly-carbonate built. The Galaxy A20 packs a dual-rear camera setup that comprises of a 13MP primary camera paired with a 5MP secondary sensor. On the front, there is an 8MP selfie camera. The smartphone also sports a fingerprint scanner at the back and it might come with NFC support, although the feature is not confirmed yet. It should be noted that Samsung is going to unveil three more Galaxy A-series devices to its ever-increasing line-up. The company will hold three events in three different cities – Milan, Sao Paulo and Bangkok. According to the reports, the upcoming Galaxy A-series devices would be Galaxy A90, Galaxy A40 and Galaxy A60, out of which, the Galaxy A90 would be the top-end device of the Galaxy A-series smartphones. And Samsung releasing Galaxy A20 before the scheduled event tells us that Samsung has planned to dominate the entire smartphone market – from budget segment to the premium segment.